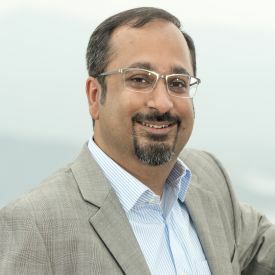 Anirban Mukhopadhyay is Professor of Marketing and Associate Dean of Undergraduate Studies at the School of Business and Management, Hong Kong University of Science and Technology (HKUST). His research examines the interplay between consumers’ lay beliefs, emotions, and self-regulatory decisions, with current substantive interests including food-related decision-making, field experimentation with policy implications, and the interplay of consumption and subjective well-being. Anirban is currently Editor-in-Chief of the Journal of Consumer Psychology, and has served as Co-Editor and Area Editor of the Journal of Consumer Psychology, Associate Editor at the Journal of Marketing Research, and on the editorial review boards of the Journal of Consumer Research and the International Journal of Research in Marketing. He is a past winner of the Early Career Award of the Society for Consumer Psychology, has co-chaired the Annual Winter Conference of the Society for Consumer Psychology, and has been recognised as a Young Scholar and an MSI Scholar by the Marketing Science Institute. He holds a Ph.D. in Marketing from Columbia University, an M.B.A. from the Indian Institute of Management (IIM) Bangalore, and a B.Sc. (Hons.) from St. Stephen’s College, Delhi, and was previously on the faculty of the University of Michigan in Ann Arbor.